Happy 2013 all! I know I’m a bit late to the game, but 2013 has gotten off to a rough start and I have seriously been neglecting this blog. But – onward and upward! It seems I will have a bit more free time on my hands for the next couple months so I will do my best to post more often. 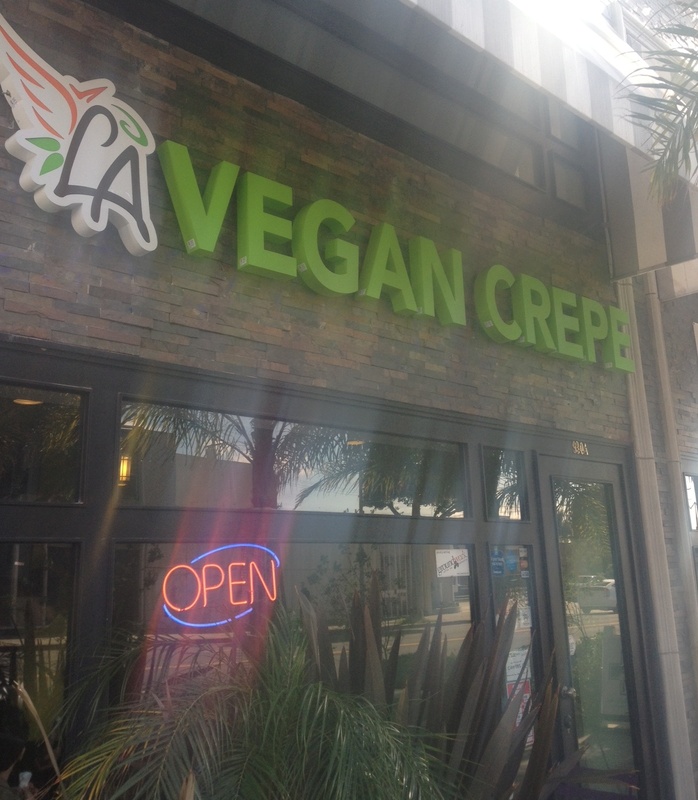 I want to talk about this cute little restaurant my husband and I discovered yesterday called LA Vegan Crepe. It opened a little over a month ago and we were both happy to find a new place to get a good vegan breakfast. The place is cute and clean and luckily not too busy for a Sunday morning (though I’m sure that won’t last very long once word starts to spread). Service is friendly, though not very speedy, but maybe that’s a good thing. Us Americans tend to rush through our meals instead of relaxing and enjoying our experience. On to the food! I started with a Green Machine juice. 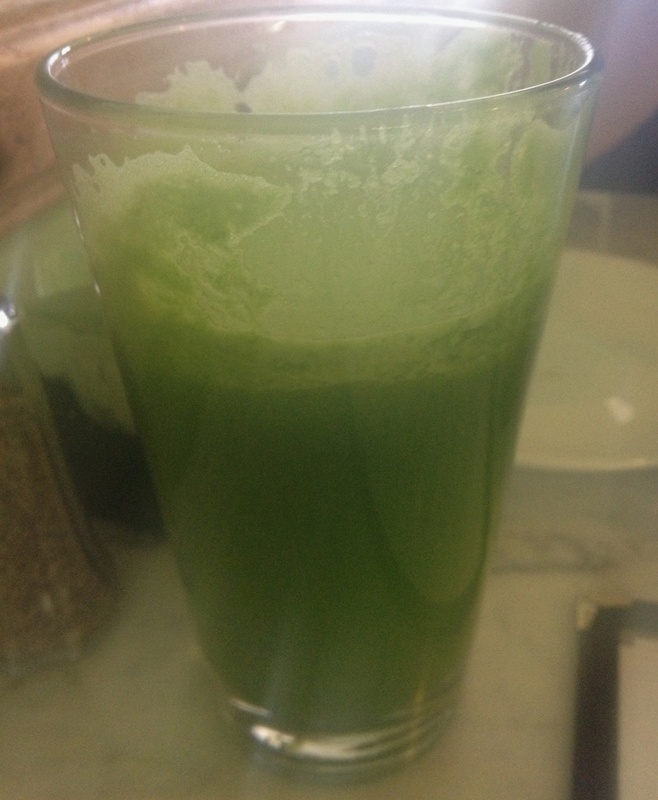 Kale, spinach, cucumber and apple. Just what I needed to start the day off right. 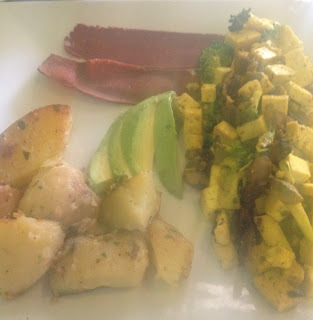 For my meal I ordered the tofu scramble with potatoes which was very tasty and just the right proportion to fill me up without making feel like I overate. The husband ordered waffles and I forgot to take a picture, but they were SO good. Philippe, one of the owners, stopped by our table and spoke with us about where he gets some of their ingredients. Super nice guy. We love supporting local vegan businesses, so I’m sure we will be back often!